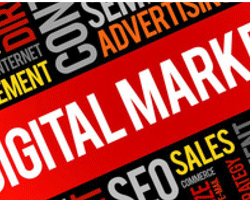 Digital marketing, the marketing of products or brands through one or more methods of electronic media, contrasts from traditional marketing in that it uses channels and means that assist an organization to analyse marketing campaigns and comprehend what is working and what isn’t –in real time. Many small businesses struggle to decide whether or not to invest in digital modes to advertise themselves. 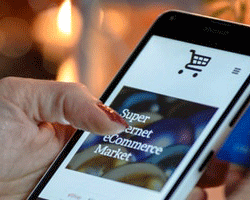 But it must be noted that, today, the smallest of small businesses also have an online presence, as they have realised the significance of being online. Not only have they understood the needs of digital advancements, but also realised that investing in digital modes is no longer very expensive, and is an investment that gives long term benefits or returns. With the booming Internet usage thanks to the affordable internet packages with good speed, customers have access to material any time and any place they want or need it, at their convenience. What business owners should consider is that every company inspires brand identity via digital platforms like company website, social media, news portals, search engines etc. Digital marketing facilitates businesses to overcome competition and go beyond boundaries. It also helps us increase credibility of business and reputation amongst competitors and customers. Customers automatically tend to respect an organisation which has a valid digital presence. Once you have made the decision to create an online presence for your company, the next step is to launch a well designed, informative and attractive website. A website is one of the most important platforms, that a company should have, for performing digital marketing. Website design or web design is the combination of art and skill required to design a website in such a manner that it attracts the attention of a user and sustains interest for a long time. Designing a website in such a way that it is catchy, easy to understand, informative, and ad free, is necessary for a company to engage customers and increase sales. Web design includes elements like graphics,SEO, user experience. A good website design must help the user to navigate throughout the website easily, without any confusion. The position of characters, pictures and options, the contrasting colours, the size, and other design elements, all play an important role in building a good web design. Not only design, but a website must be made mobile friendly too, as majority of people have access to smartphones. Gaining traffic or attention through social media sites like Facebook, Instagram, YouTube, Twitter, etc. is simply called social media marketing. Today, almost everyone has a social presence, and do not fail to check up on the recent updates being posted on social media sites. Which is why marketers or advertisers, make full use of social media to reach wide range of people from different regions, occupations, interests, demands, preferences, etc. a company gets to market itself in front of a large number of varied audience, at the click of a button. Paid social media is rising in comparison to unpaid social media. Paid social media allows you to reach out to mass people that you may not have been able to reach otherwise, while also increasing brand awareness and product awareness. In addition, paid social media is a great driver of micro-conversions, whether they are for trials, free samples, or just funnelling additional traffic to your website. For maximum effectiveness, a paid social media campaign can be implemented in addition with other forms of media, such as TV ads, newspaper ads, direct mail pieces, and more. It’s important that your top performing campaigns are receiving the most of your budget. Performance by location is extremely significant. Some locations merely perform differently than others. By continually revising and making modifications to your number one goal, you can make your campaigns more competent. 40,000 search queries every second on average are done on google. With millions of searches happening every day, consumers are using search engines to get first hand information about products / services, therefore having a presence on search engines is imperative. Search engine advertisement has two main components Organic Search results also called as SEO and Paid search results. Search engine optimisation is the process of increasing the visits to your website from organic traffic from search engines by ranking for your products / services / brand names in the top search results of a search engine. Hence, for achieving a top listing, proper search engine optimisation must be performed. SEO can target various kinds of searches like text search, image search, video search etc. PPC stands for pay-per-click, a concept of internet marketing in which companies pay a fee every time one of their ads is viewed. 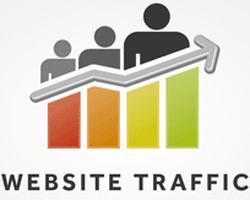 In other words, it’s a way of buying visits to your website, rather than “earn” those visits. Search engine advertising is one of the most well known forms of PPC. It lets advertisers bid for ad placement in a search engine's sponsored links when anyone searches anything that is related to their business. For example, if we bid on the keyword “PPC software,” our ad might show up in the very top spot on the results page. Every time our ad is clicked and a visitor is redirected to our website, we have to pay the search engine a small fee based on the bid auction and quality parameters. This process allows advertisers to attain potential customers at a cost that suits their budget. It’s basically a kind of auction. The simplest ways to categorise Paid Ads are to fragment them into Search Ads and Display Ads. Search Ads – These are programmed to emerge when the user is already searching for an answer or product. The most usual form is a Google Ad. These are the paid-for results that show above other results when you use Google to search for something. Mobile phone marketing is beneficial to any business, as most people own a mobile through which they can access internet and hence view online content, very easily, and at their convenience. It is a multi-channel online marketing technique, in order to reach specific audience on their mobiles or tablets. It can provide users with time and location specific personalised information. There are many types of mobile ads, like click to download ads, which would take us to the app store to download an app, or click to call ad, where the user will call a phone number after clicking on it, image or banner ads, clicking which the user would be taken to the browser, and other ads like push notifications. More businesses have started taking advantage of the viral marketing methods by which one user can forward content to another, causing automatic marketing. Mobile marketing methods are very interactive, but it is not always possible that the right ad reaches the right person through mobile methods. App based marketing is immensely popular among businesses and they have started using apps as a marketing medium. Other mobile marketing techniques include QR code, through which a person can scan the code to get redirected to another website, Bluetooth, which is a wireless transmission method between mobiles and location based services, enabling users to get location specific information as and when required. Banner advertising denotes the usage of an oblong graphic display that expands across the top, bottom or sides of a website. It comprises of static or animated images or media and is typically positioned in high-visibility zones on high-traffic websites. Banner advertising is striking because it can aid to create brand awareness, produce leads and re-target an audience. the manner in which the advertiser pays the host can vary significantly from traditional ad space sales. The host is paid for the banner advertisement through one of three means: cost per impression (payment for every website visitor who views the ad), cost per click (payment for every website visitor who clicks on the ad and visits the advertiser's website) or cost per action (payment for every website visitor who clicks on the ad, goes to the advertiser's website and finishes a task, such as filling out a form or making a purchase). For improved and large scale marketing effect, marketers often choose the email marketing method, through which they can send across any information or advertisement, to a large number of receivers, in no time. It is an economical way of advertising, as almost everyone has access to email, and it can be sent to many people at once. These emails can be transactional, meaning they are sent in response to customer’s action or request. They also can be direct emails, solely to communicate a promotional message. Companies can either make a list of prospective email addresses to send emails, or source such information from service companies. Email marketing is better than traditional mailing as no time and effort is required, also it may be done with negligible costs. But at the same time, there is high possibility that the receiver might simply ignore the message, hence the sender’s message goes unnoticed. Content advertising or marketing is a concept of creating unique and valuable content related to desirable topics, in order to attract an audience and enhancing the consumer’s behaviour, to convert them into profitable customers. An advertiser must focus on quality, not quantity, to sustain a reader’s interest. It helps to expand customer base and generate online sales. Content marketing enhances brand awareness and credibility, to engage online audience. The rise of content marketing has felicitated the growth of other online platforms such as LinkedIn, YouTube, Pinterest, etc. Digital marketing has developed over the years to a huge extent, and reduced efforts of marketers. Which is why, companies must make efficient use of its methods to market themselves better. Opting to such a method will not only increase profits or goodwill, but also help fight the ever increasing competitive environment.